You have arrived at the Brownie Cove Hotel. The bed is lumpy and you can’t sleep, but the TV is tempting… So begins the surreal experience that is Between Stations. Controlled entirely by a radio tuner and three large buttons, Between Stations has you manually tune a CRT television back and forth across a void of static to find isolated islands of quirky content. Each channel you find offers a brief and utterly bizarre text-based experience. On one you may find a shopping channel selling inexplicable products, on another, a short horror sequence, or a nature documentary, a cooking channel hosted by a shrimp, even the end of a relationship where you’re to blame. Every station lasts less than a minute, offering up only a few lines of text and one or two choices that feel utterly meaningless, yet somehow important. The entire experience is playable for free on the game’s itch.io page, but without the tactile experience of physically adjusting the tuner, it does lose a little of its charm. What the Golf? proved particularly popular. 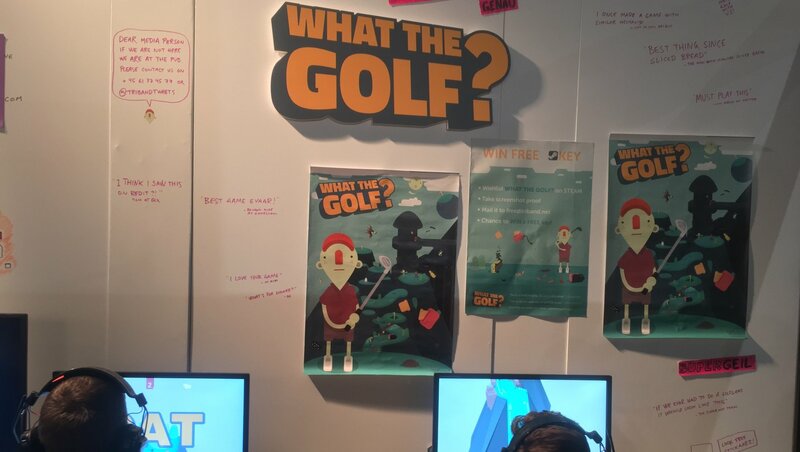 Described as a game for people who hate golf, every level of What the Golf? presents and amusing inversion of your expectations for the sport. In our demo, early levels saw us charge up a swing only to fling your golfer, not the ball, towards the hole. A few levels later we had to rapidly launch a football between infuriatingly persistent ball-chasing children. It was in the latter stages of the demo, however, that things really started to take off. One side-on stage had us launching a hundred balls through a platformer level in scenes reminiscent of Super Meat Boy’s end replays, and that was by far the least copyright infringing culprit. Levels riffing on Mario and Portal made an appearance, but it was the Super Hot theming that really stole the show, implementing the now iconic time only moves when you do mechanic. Dodging a ball between between shots from crystalline red goons, you could even steal their weapons, firing off your own shots on your slow-mo path to the flag and a SUPER-PUTT message. Developer Triband promises references to even more games in the full release, and if the trailer below is anything to go by, they have more than enough ridiculous ideas to pack into What the Golf? before it releases next year. It's just like the AllGamers christmas party. You’ve been invited to a party with some of the most weird and wonderful characters you’ve ever met. The catch? It’s the end of the world, and there’s nothing you can do. Making our way into Small Talk’s apartment we were greeted by the party’s host, a being comprised entirely of the squawking heads of baby birds. 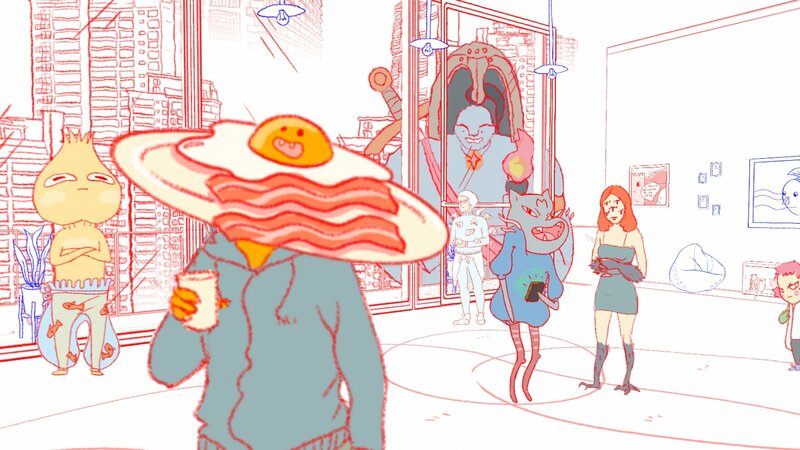 Small Talk’s patrons are equal parts disturbing, intriguing and cute, and each is taking the end of the world in their own way. Most have little to say to beyond a few concerns, but a select few will reveal their inner thoughts, sweeping you up into a short sequence from their mind. One forlorn partygoer told us that before the end had come they’d been planning to book a train out of the city. With no destination in mind they simply wanted to ride that train as long as they could. From there we were transported into a mental image of this journey, riding an endless train as a family of rats ran along the tracks beside us. Each of these moments has a simple task for the player to complete, earning an item that may, eventually, change the fate of the world. 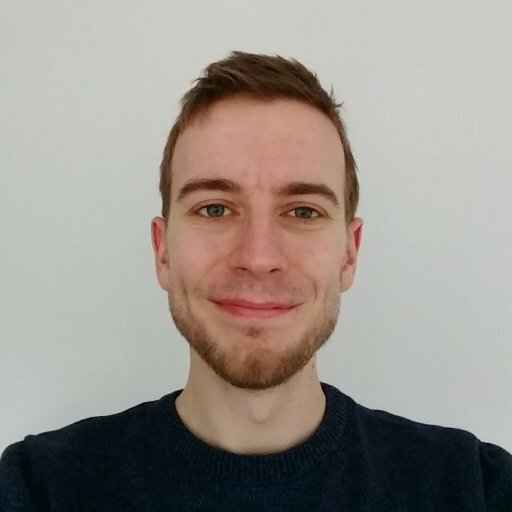 Unfortunately we encountered a couple of game-breaking bugs in our demo that left us unable to finish our session of Small Talk, but the experience has stuck with us since, and we’re keen to give the full game a go when it releases. Leave that poor fish alone! Out of all the games at the show, the four-player, 2D couch-battler Sticky Cats had us laughing the most. Each combatant controls a highly adhesive, pinwheeling ball of fur (in other words, a cat) in a race to steal a house’s pet fish from its bowl and escape through the window. What results is the most realistic simulation of cats fighting that we’ve ever seen. Your cat’s feet will stick into any surface (or other cat) that they touch, and the only control you have beyond the analogue stick is to mash a button that will lurch your cat forward at varying speeds. You’re only ever half in control of your actions, and the slightest bump from a rival will cause your moggie to drop the fish and, more like than not, send you both spiralling about the room, claws locked in each other’s fur. 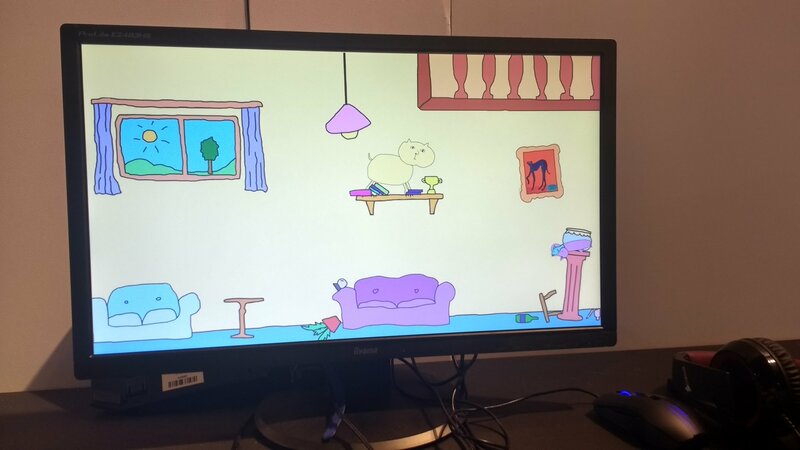 Right now Sticky Cats is more of an advanced WarioWare minigame than a full title, but the basic premise combined with comically simple art still had us and many others in stitches for the entire playtest. Sadly, MaoMao's dragon cat couldn't breathe fire. The wonderful thing about the Leftfield Collection is that some games are made almost purely for the show. 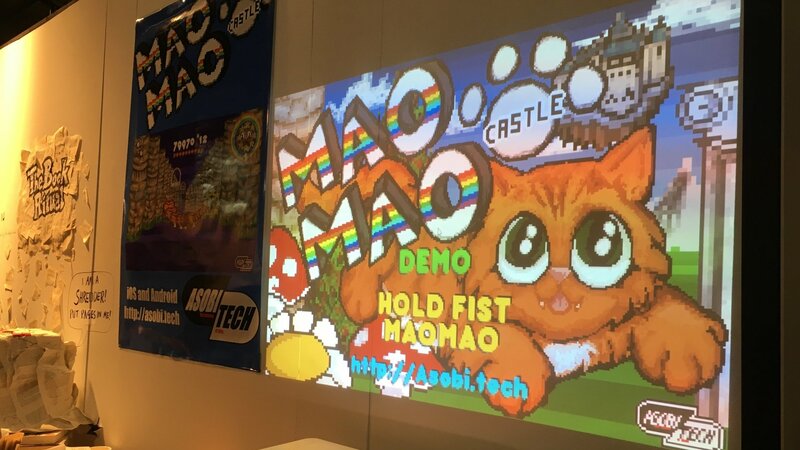 Projected up on to the walls of the booth, MaoMao is controlled by moving and clenching your hand in freespace. Your actions are detected by a sensor on the desk below, letting you control a mighty cat dragon as it bobs and weaves between obstacles, passing through rainbows to earn points in a rapid, StarFox-style level. Given the chance at an event, games like this are a brilliant, light-hearted break from more serious fare, and we’re not just saying that because we earned the fourth highest score on the board! 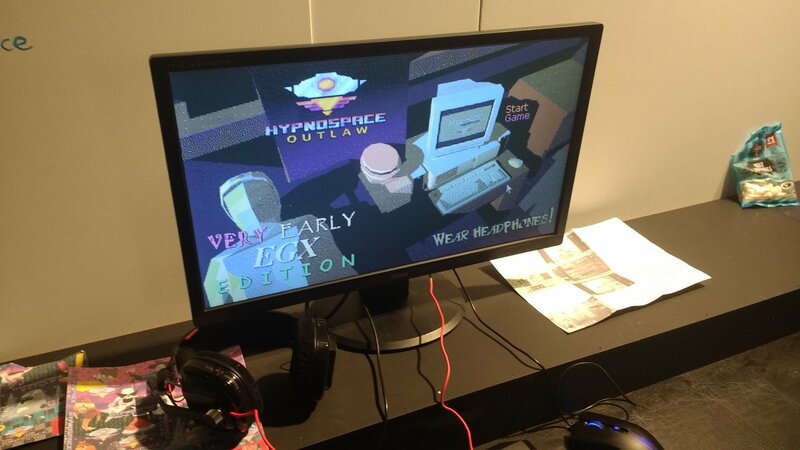 Hypnospace lets you browse the internet while you sleep. Sounds horrifying to us. Remember the internet of the late ‘90s? Countless pages with no real purpose dotted by rotating images and clip-art figures anywhere and everywhere the creators could plaster them. Granted it’s not a huge market, but Hypnospace Outlaw is one of the few games to really get the experience of browsing the web back in the day. As an enforcer of the new and wonderful world of Hypnospace, your job is to browse through the pages created by Hypnospace’s many users, deleting copyrighted content and reporting users for other wrongdoings. 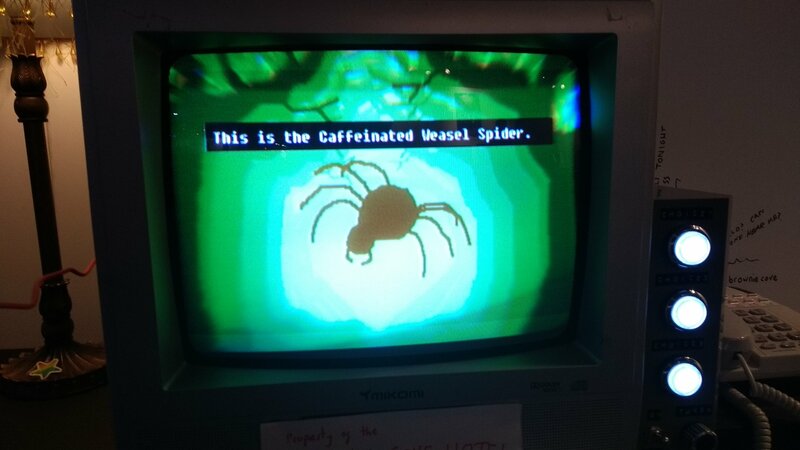 Your efforts will earn you cash to spend on your own programs and odd features, but also shape the future of the Hypnospace and its inhabitants as they head towards the potentially devastating millenium bug. Jetstream seemed like an odd choice for the Leftfield collection, but that didn’t stop AllGamers’ editor in chief Chris Higgins from losing a good 20 minutes to its blissful charm. A rather unassuming puzzler, your task is to guide a plane through small puzzles in the style of Friday the 13th: Killer Puzzle. Your plane can only travel in straight lines until it hits a wall, and can’t cross over its own path without first stopping at a refueling station. Levels start out out simple, but quickly introduce portals, storm clouds and more than require intricate testing and planning to find a path through. Fortunately, while the difficulty ramps up, the art and music are delightfully relaxing, and we could easily imagine losing plenty of commuting hours navigating the clouds. Jetstream plans to release on Steam and mobile stores later this year.